A great gift for anyone with a June birthday! The Swarovski crystals are pearlized. The surgical stainless steel charm can also be engraved on the front and back with a symbol or message. Bracelets are available for purchase separately. 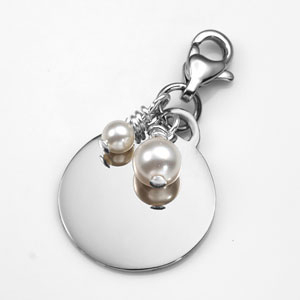 Lobster clasp opens up to 2mm wide.